Just add to your cart and shop these pattern for only $2 each!!! 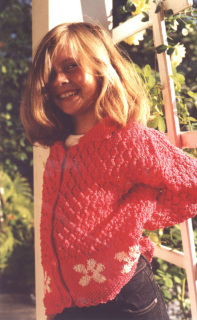 You will be taken to Paypal to pay and then will be emailed the pattern (PDF file) within 48 hrs. These are easy to make and great for bumming around the house or curling up in bed with. 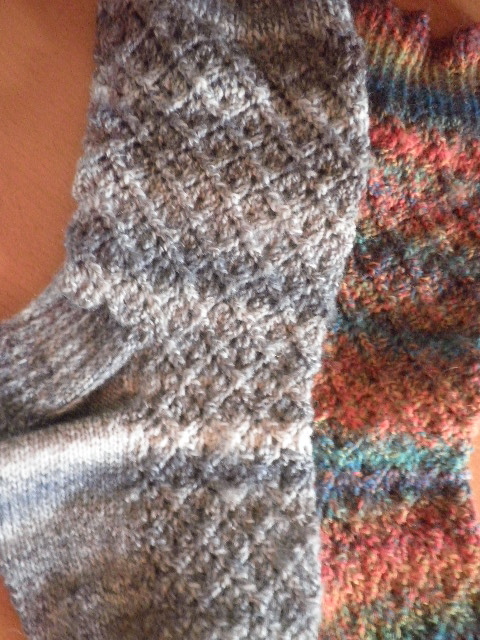 They are made with Patons Merino Wool on 4.5mm dpns. Click here for more photos. 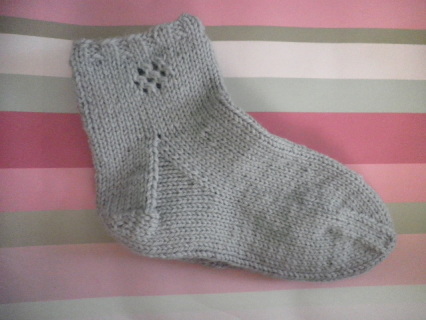 A lacy easy to knit sock. Small 9 in (23 cm), Medium 9.5 in (24 cm), Large 10.5 in (26.5 cm). Click here for another view. 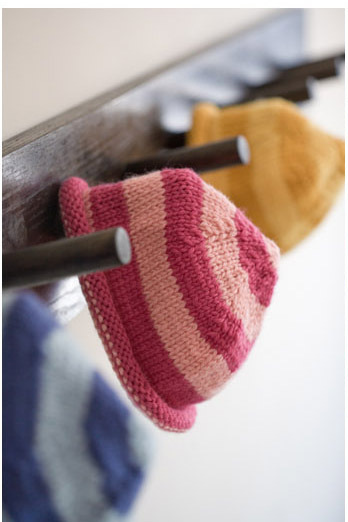 Too cute beanie in Dale of Norway Freestyle on 5 mm (US 8) needles. 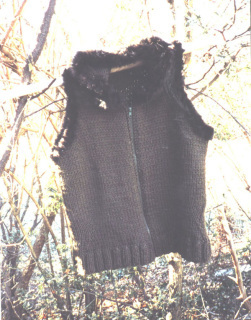 Small 15 ins (38 cm). Medium18.25 (46.5 cm), Large 21.5 ins (54.5 cm). This is a mini version of my Mother's Day Cardigan on the Freebie Page. For sizes 1 (2, 4, 6). Worked in Butterfly Super 10 on on 4.5mm/US 7 needles. Another favorite in Butterfly Super 10. On 4.5mm/US 7 needles in Sizes 1 (2, 4, 6). This easy, cute ensemble is made with Butterfly Super 10 mercerized cotton. Finished Sizes: 6 mos/21" (12mos/23", 18 mos/25", 2 yrs/29", 4yrs/30"). 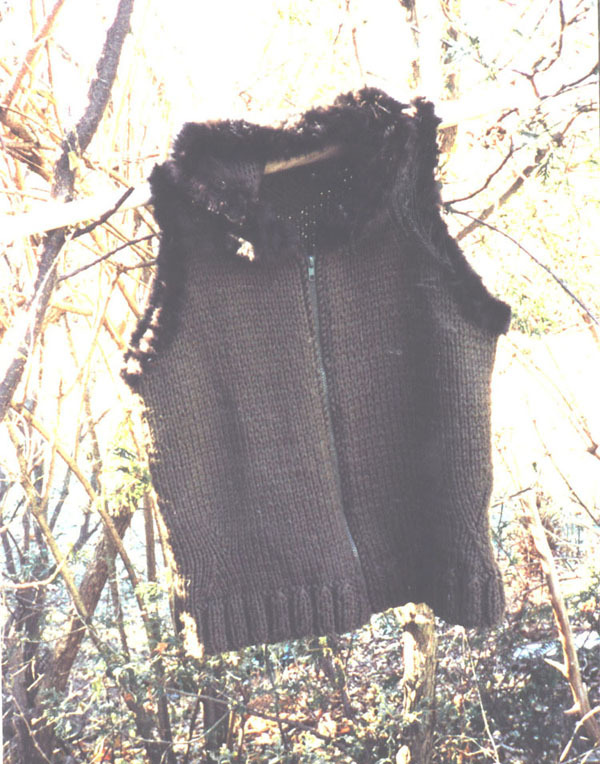 Great for Fall or Spring, this hooded zip vest is worked in Patons Classic merino Wool with a Rabbit fur crochet trim. 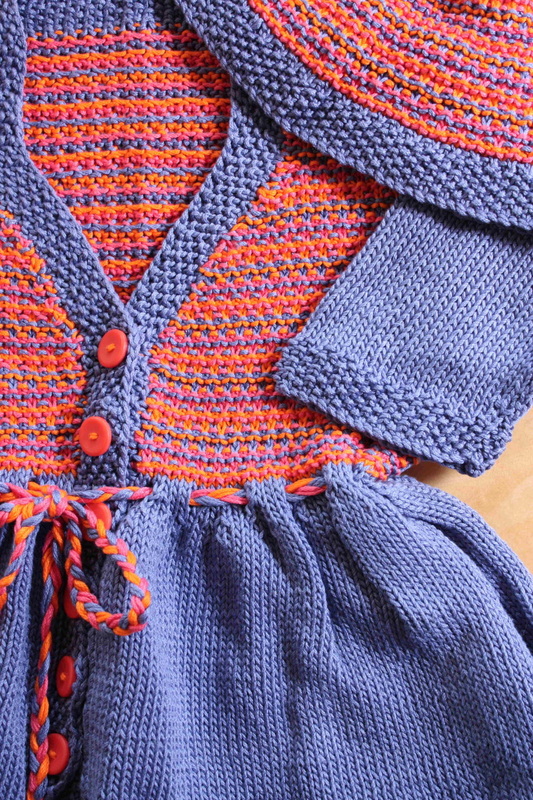 Knit with 2 strands held together for a quick and easy finish. 9mm/US 13 needles. 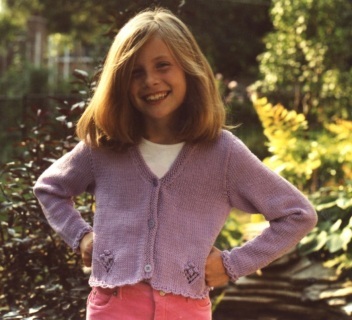 This fun kiddy sweater is made with Patons Classic Merino on 4.5mm/US 7 needles for sizes 2 (4, 6, 8). 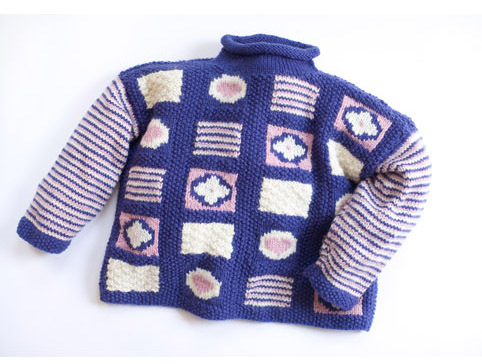 Cozy set for boy or girl in Bernat Softee Chunky Twist on 6 mm (US 10) needles.